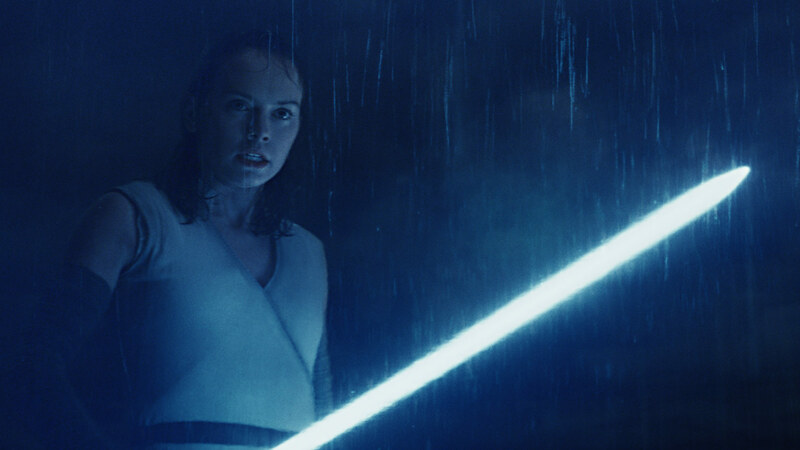 Rian Johnson’s Star Wars: The Last Jedi finally has a release date for the Blu-ray and confirmation of its many special features. You might never be able to watch an extended director’s cut, but you will finally get to see tons of deleted scenes totalling somewhere around 30 minutes. On Tuesday, StarWars.com offered up the first official details about when you can bring Star Wars: The Last Jedi home. The digital release happens on March 13 and with the physical Blu-ray on March 27. Along with what’s already the longest Star Wars movie ever comes a “galaxy of bonus features” that supposedly includes 14 deleted scenes in total. 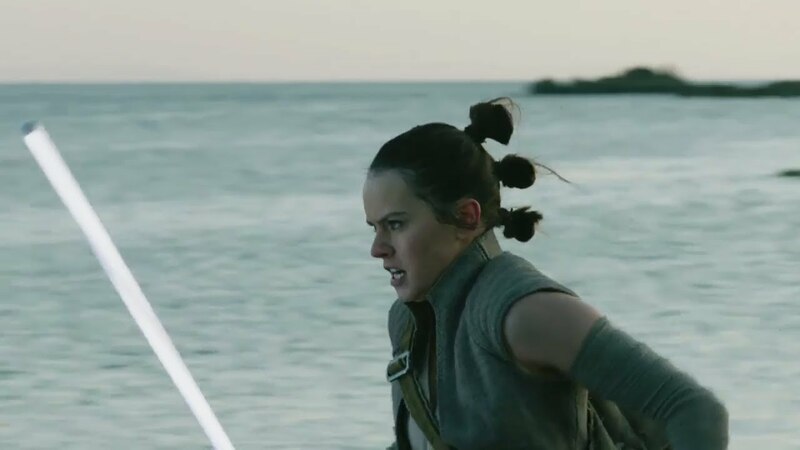 Perhaps the single largest deleted scene takes place on Ahch-To, in which Rey runs across the beach to try and save some of the local Caretakers. (Fans might remember seeing a flash of the sequence pop up in various trailers.) As it turns out, the whole thing was some sort of lesson orchestrated by Luke. Rey rushes to aid some of the local in this deleted scene. Here’s the full list of special features for The Last Jedi release, which includes an intimate look at director Rian Johnson’s experience working on the film and an exploration of how he interpreted the Force. The Director and the Jedi — Go deep behind the scenes with writer-director Rian Johnson on an intimate and personal journey through the production of the movie — and experience what it’s like to helm a global franchise and cultural phenomenon. Balance of the Force — Explore the mythology of the Force and why Rian Johnson chose to interpret its role in such a unique way. Andy Serkis Live! (One Night Only) — Writer-director Rian Johnson presents two exclusive sequences from the movie featuring Andy Serkis’ riveting, raw on-set performance before his digital makeover into Snoke. Deleted Scenes — With an introduction and optional commentary by writer-director Rian Johnson. Audio Commentary — View the movie with in-depth feature audio commentary by writer-director Rian Johnson. Lighting the Spark: Creating the Space Battle — Get a close-up look at the epic space battle, from the sounds that help propel the action, through the practical and visual effects, to the characters who bring it all to life. Snoke and Mirrors — Motion capture and Star Wars collide as the filmmakers take us through the detailed process of creating the movie’s malevolent master villain. Showdown on Crait — Break down everything that went into creating the stunning world seen in the movie’s final confrontation, including the interplay between real-word locations and visual effects, reimagining the walkers, designing the crystal foxes, and much more. The Target Exclusive Blu-ray set. It’ll only be a few more weeks before everyone can travel back to that galaxy far, far away in the comfort of their own home. 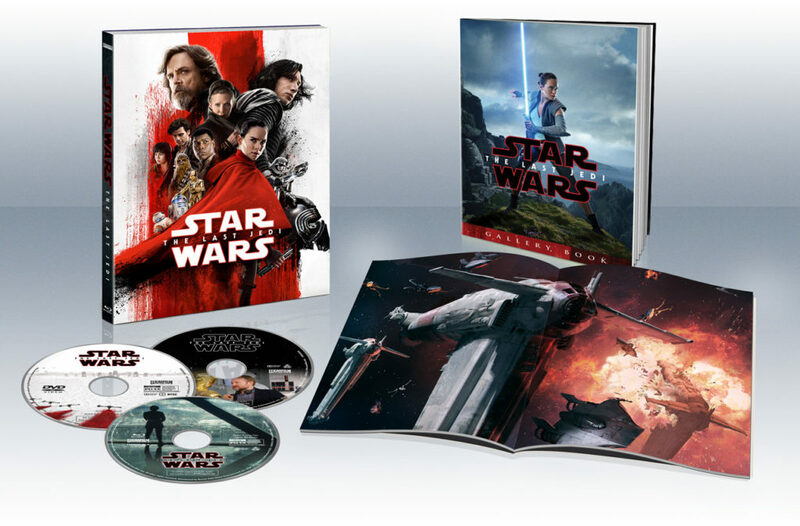 Star Wars: The Last Jedi gets a digital release on March 13 and a physical Blu-ray on March 27.